"We are happy to host you and the Mine Action Support Group (MASG) again this year. The MASG serves a very important role in the international donor community." 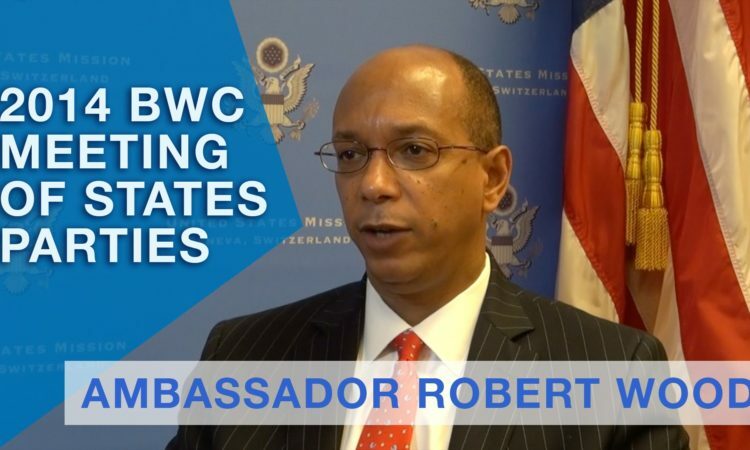 Ambassador Wood: "Mr. Chairman, the United States cannot accept the choice of Venezuela as one of the Vice Chairs of the BWC Meeting of States Parties." Ambassador Wood: "Mr. Chairman, the BWC is confronted by a range of substantive challenges arising from the threat of biological weapons." Mr. Chairman, the United States is a High Contracting Party to the Convention on Certain Conventional Weapons (CCW) and all of its Protocols. We view the CCW as an important instrument because it has brought together States with diverse national security concerns, but shared concern over certain threats that affect us all. Thank you, Mr. Chairman. I want to thank you for your efforts to try and find a consensus way forward on this issue. Ambassador Robert Wood: Simply put, it is a travesty that the Syrian regime – which continues to indiscriminately slaughter its own people with weapons banned by the Chemical Weapons Convention – should presume to preside over this body. The United States remains committed to the 1995 decision related to Art VIII on strengthening the review process. As we review the implementation of the Treaty, it is important to consider the current challenges and how we can adapt and respond to preserve the benefits of the Treaty for all. The United States continues to support the long-term goal of NPT universality, and we remain committed to efforts to strengthen and uphold the Treaty. The Nuclear Non-Proliferation Treaty is an enduring foundation for the common security interests of all states. The 2018 Nuclear Posture Review (NPR) reaffirmed the U.S. commitment to efforts in support of the ultimate elimination of nuclear, biological, and chemical weapons. The MASG serves a very important role in the international donor community, and I’m glad to see the United States chairing it again. It is proof that the United States remains committed to international peace and security through both foreign assistance and robust diplomacy. For years the United States has consistently pursued reductions in the number and role of nuclear weapons. Doing so was a policy priority highlighted in the 2010 NPR. However, since then certain other states have done the opposite. Our meeting this week is our only chance to find a way to make substantive progress until the next Review Conference. We are fortunate to have this second chance; we should make good use of it. The United States believes the international community should focus on the very real problem of the proliferation of known weapons of mass destruction, both by states that willfully violate their commitments to treaties and by non-state actors. My government believes that disarmament and development are two distinct issues. Mr. Chairman, the United States abstained on L.33, “Convening of the fourth special session of the General Assembly devoted to disarmament,” or SSOD IV. We believe that nuclear proliferation and non-compliance by a few States with their respective nonproliferation obligations, as well as nuclear terrorism and the deterioration of the international security environment constitute serious threats to international peace and security. We greatly appreciate the efforts of Eighth Review Conference President Amb Molnár in drafting this resolution and skillfully working to reconcile conflicting views. Mr. Chairman, we believe there is no greater challenge to the CWC than a State Party using chemical weapons in flagrant violation of its legal commitments. The United States remains committed to the goal of nuclear disarmament, and to seeking to create conditions toward that end. The United States was “heartened by the growing chorus of condemnation” of North Korea and its provocations at an important meeting on nuclear non-proliferation earlier this month. Video: Press Conference Statement by Ambassador Robert Wood on North Korea and the NPT Preparatory Committee. Partners in humanitarian demining efforts in Afghanistan are gathering this week in Geneva for a workshop aimed at bolstering joint efforts to ensure the protection of civilians. Ambassador Robert Wood took the floor at the Conference on Disarmament plenary session on February 7, 2017 to express the United States’ condemnation of Iran’s recent ballistic missile launch. The United States shares the concerns that have been expressed by other UN Member States regarding the threat of chemical and biological terrorism. A treaty banning nuclear weapons will not lead to any further reductions because it will not include the states that possess nuclear weapons. The United States shares concerns that have been expressed regarding biological, as well as chemical terrorism, and believes that we should address these concerns in the context of the existing international framework. 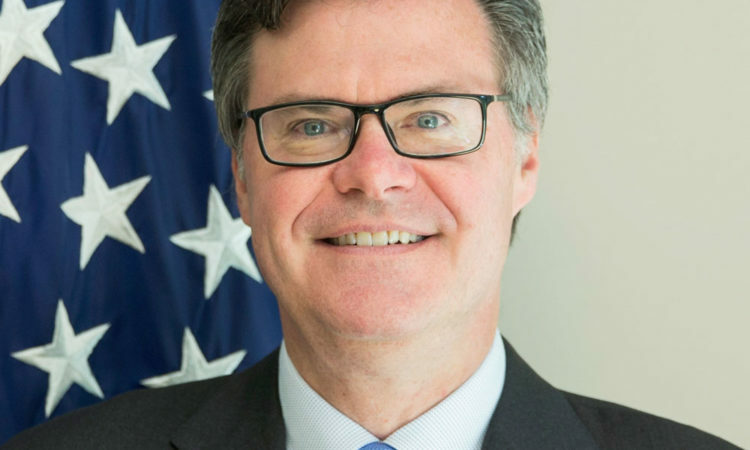 Ambassador Wood: "Including women and their perspectives in our conflict prevention efforts, our efforts to end wars and bring about just and sustainable peace, our efforts to protect civilian populations and hold accountable those that commit war crimes and crimes against humanity, is absolutely essential to international peace and stability, and to U.S. national security." The BWC is an important agreement with noble objectives, and it has contributed to international peace and security. Unfortunately, it is also true that the threat of biological weapons remains real. International cooperation is an important element of the BWC. We know there are disagreements about how to advance the goals of Article X of the Convention; but we should not allow those disagreements to prevent us from agreeing where we can and identifying specific steps we can take. Ambassador Pamela Hamamoto and Michael Møller, Director-General of UNOG, are proud to launch Geneva Gender Champions (GGC), a new leadership network dedicated to making gender equality a priority throughout the multilateral diplomatic work in Geneva. 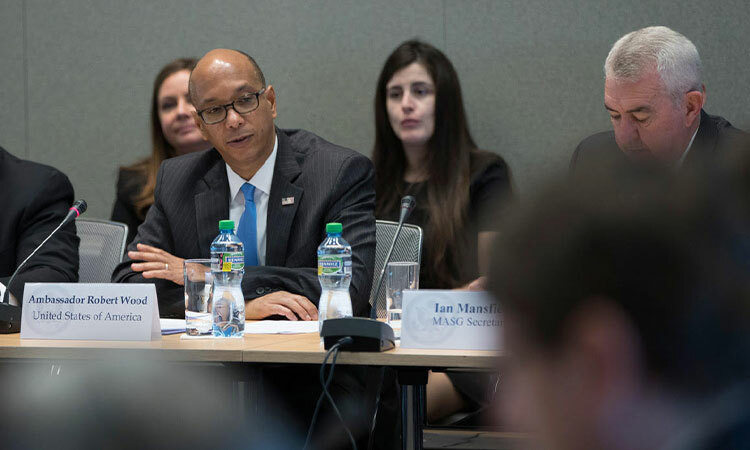 A secure outer space environment is vital to each of our nations’ securities, foreign policies, global economic interests, and the daily lives of our citizens. The United States acknowledges the vital role that women play in the prevention and resolution of conflicts and peace–building. We are committed to their full, active, effective, and equal participation in all efforts to maintain and promote peace and security. The United States continues to welcome the opportunity these meetings present for a substantive dialogue on ways we can strengthen the Convention and its implementation. The United States remains ever-ready to work tirelessly with other CD Member States to help overcome the continuing impasse. As President Obama has said, the path to zero will require patience and persistence. It requires a broad strategy aimed at strengthening the nonproliferation regime, preventing nuclear terrorism, and pursuing concrete steps that build a foundation for future progress and lead in the direction of nuclear disarmament. Every country that joins the BWC sends a powerful message of solidarity with the international community that the possession and use of biological weapons should not be an option. "March 26th of next year will mark the 40th anniversary of the Entry into force of the Biological Weapons Convention. It’s a short document, but one with big aims." 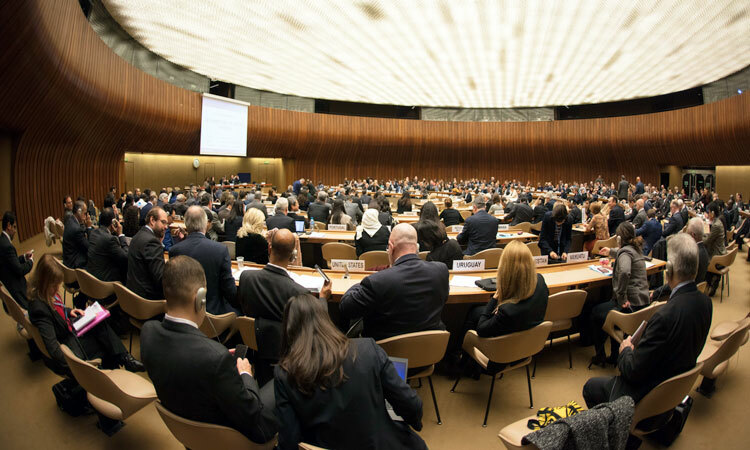 States Parties to the Biological Weapons Convention (BWC) meet December 1-5, 2014 in Geneva. The United States is strongly committed to strengthening partnerships and cooperation with regional and other inter-governmental organizations. Statement by Ambassador Robert Wood at the U.N. General Assembly on international agreements regulating and limiting the use of conventional weapons. While we aspire to the goal of a nuclear-weapon-free world, we know that real and lasting disarmament will take sustained effort and commitment, requiring us to proceed in a deliberate and step-by-step way. Ambassador Robert Wood presented his credentials today to Michael Møller, Acting Director-General of the United Nations Office at Geneva. President Obama has announced his intention to nominate Robert Wood, a Career Member of the Foreign Service, as the next U.S. Ambassador at the Geneva-based Conference on Disarmament. 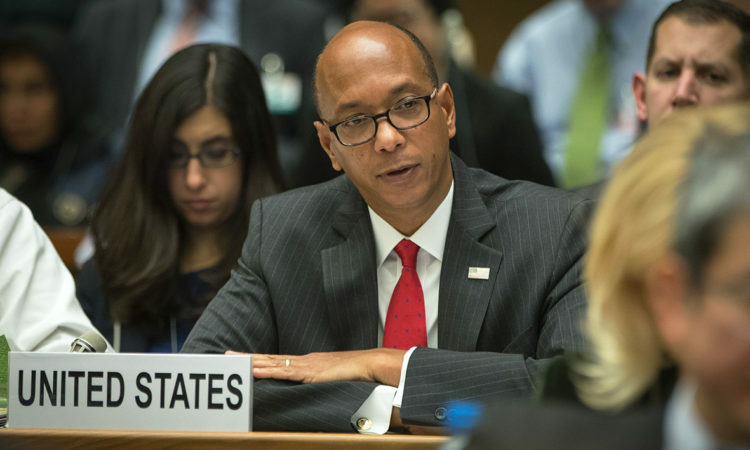 The United States was pleased to participate in the PrepCom meeting of Parties to the Nuclear Non-Proliferation Treaty held in Vienna, April 30 - May 11. Ambassador Laura Kennedy, the U.S. 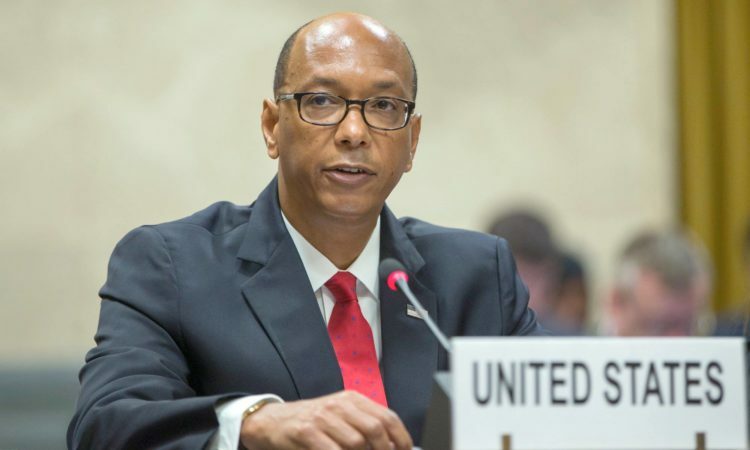 Permanent Representative to the Conference on Disarmament in Geneva, is part of the U.S. interagency delegation lead by Ambassador Susan Burk. The United Nations High Commissioner for Refugees reported that as of June 1, 2009, a total of $135,008 in private donations from U.S. sources for humanitarian aid to Pakistan had been received. Of that total, $31,390 was received via 5,722 text messages. The United States welcomes the recent progress that has been made through the efforts of many delegations, governments and officials in the formulation of the draft outcome document for the Durban Review Conference on April 20. .... 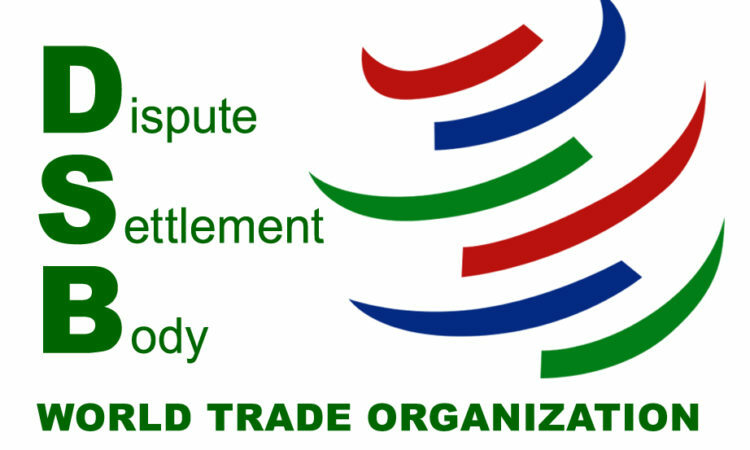 There remain, however, elements of the current draft text that continue to pose significant concerns.